Residential Gas Furnaces | Superior Supply Co.
dependable. Two-stage operation allows it to adjust heat output based on the temperatures inside and outside your home, so you’re always using energy efficiently. Two heat exchangers make this one of the most efficient furnaces on the market today. The primary exchanger pulls about three-quarters of the available heat from the burner, then the secondary heat exchanger captures most of what's remaining. Using 95% or more of the heat output from each cubic foot of gas, this furnace produces not just greater comfort, but also significant fuel savings. With its powerful, single speed PSC blower motor, the GUH92A delivers consistent temperatures and high-efficiency energy usage. So you will stay warm all winter without spending a lot on energy bills. And because the GUH92A is equipped with smaller burners than many other furnaces, it will operate more quietly. 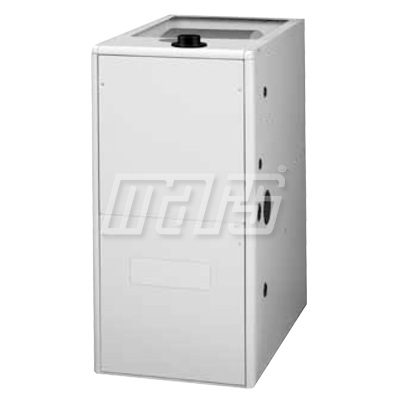 At just 34½" high, the GUH80A furnace cabinet is ideally suited to both new construction and replacements - models can fit into the space of virtually any furnace being replaced, including attics, crawl spaces and utility closets. That also leaves plenty of room for add-ons such as an electronic air cleaner. 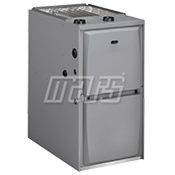 These downflow furnaces are specially designed for installation in manufactured housing. 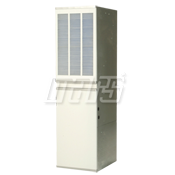 Three heat capacity and two blower choices handle heating and heating/cooling (2 to 5 tons) in any climate. 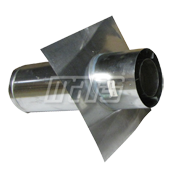 All blowers are multi-speed to adjust airflow to the home for quiet operation, high efficiency, and comfort. 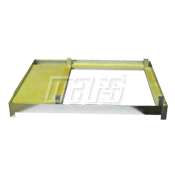 Units come with sealed combustion venting and can be installed with zero clearance to construction. 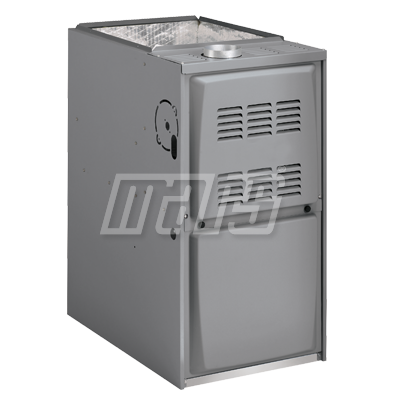 We offer a complete line of accessories for the MGD Series of manufactured home furnaces. Some are necessary to meet certification requirements. Some are options that may be needed depending upon the application.